There’s nothing quite like a New England winter. The amount of preparation that is required to protect your home this time of year may seem overwhelming, but once you do it a few times, pretty soon it will become routine. The more you can do to protect your home from the season, the easier it will be to protect your investment. Your insurance company in Fall River has lots of great suggestions that can help you to prevent winter accidents from happening and prepare you for the eventual storm. Speak with your Fall River insurance agent about even more winter tips for automotive, business, boat and other types of personal protection options. The only thing messier than a Southeastern Massachusetts winter is the sheer volume of leaves, pine needles, twigs and debris that can accumulate in our gutters during the fall. 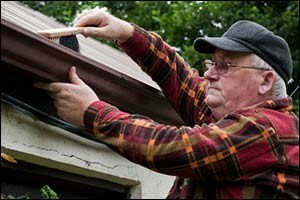 Take time to clean your gutters to prevent the build-up of ice on your roof. It is important to make sure that there is a clear path for water to drain away and prevent the damaging ice dams that can occur. Consider upgrading your gutters to seamless aluminum and add a gutter guard system that will prevent a large percentage of leaves and needles from getting inside your gutter in the first place. Clean gutters also prevent mold, mildew and pest infestations from occurring during this wet time of year. This is the best time of year to make sure that all of the new growth during the spring and summer is taken care of before the first snow storm hits. Ensure that any limbs from trees that might hang over your roof, garage, sunroom, shed or power lines are trimmed and removed as soon as possible. Hire a professional or set aside a weekend to go over your entire property so you can make sure nothing was overlooked. Check for any trees that might be dead and rotting, as they can quickly become a huge liability. Take some time while the weather is still nice to get all of your snow and ice removal equipment out to make sure it is in good working order. Check your snow blower, locate your shovels, ice scrapers, rock salt and anything else that you use to keep your property free of snow and ice. You don’t want to get caught in the middle of an early season storm without any tools to clear your sidewalk and driveway – or to dig your car out of the garage. Check your local laws and go over your home insurance in Fall River to find out what you are responsible for with regard to property safety. Some areas give homeowners a certain amount of time to get sidewalks clear after a storm, while others are a little more lenient. Either hire a professional or check it yourself, but take time to go over your home to check for any air leaks that could hinder your ability to achieve effective thermal control. Check for leaks and drafts around doors and windows, basement areas and attics. If you have a room that is warmer than the others in the summer, it is likely also colder than the others in the winter. This can usually be fixed by performing a home energy audit to find out where the problem is located or by hiring a professional to seal up all of the leaks or increase your insulation as needed. Not only will this make your home more comfortable year-round, but it will also help you to lower your winter utility bills and reduce energy consumption. Many Fall River homeowners overlook the importance of getting your HVAC equipment serviced prior to the start of the cold season. In fact, the best time to get this done is in early fall, but if you missed that deadline, there’s no better time than the present. Your local insurance company in Fall River suggests that you get your furnace filter replaced, your HVAC unit serviced to ensure that everything is safe and working as it should, well before you use it for the first time of the season. A properly serviced HVAC system can save you up to 15 percent on your seasonal heating bill. If you are looking for more seasonal tips from your local provider of home insurance in Fall River, continue reading the blog on our website. Other annual services that should be performed include getting your chimney cleaned, your fireplace inspected and your hot water heater checked. You don’t want to end up needing to use these things during a cold, winter storm only to find out that they are not working properly or that they need servicing. Contact your local insurance company in Fall River for more tips or to check your policy to ensure you are properly covered this winter season. 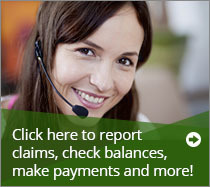 Give Paul Sullivan Insurance a call at 508-679-9111 for a FREE quote or to update your policy.